As an online poker affiliate, you never get the type of swings that you get promoting online casinos. Even if you’re promoting a poker room which takes bonuses and fees off your revenue, you’re generally going to make money each month from your players. Even on a month to month basis, bar anything dramatic(like the Absolute Poker saga, the UIEGA, or the likes of Chris Moneymaker winning the WSOP) you’re never going to see huge swings, be it positively or negatively. As a poker affiliate, your earnings usually remain at a steady rate. When it comes to online casinos, it’s a whole different world. First of all, your earnings will swing dramatically positively and negatively, depending on how your players do at the tables. Sure in the long run, they’re usually going to lose, but in the short run, you’re going to see lots of ups and downs. One month a player is going to hit it big at the blackjack tables and put you in the negative by $5000, the next month they’re going to blow all that, then lose even more trying to win it back. You’ll never have consistent winners or losers – while yes, strategy is involved, it all comes down to luck. Sometimes they’ll be lucky, more often than not they won’t get lucky. Sometimes they’ll deposit to chase their losses and lose more, sometimes they’ll win it back and then some. If you made a graph of the average casino players winnings and losses, you’d have a graph resembling a roller coaster. Thankfully – it’s a roller coaster that ends in one big drop. Bonuses are also more prevalent in the online casino world. In online poker, poker rooms often have one big signup bonus, then maybe a couple of reloads a year. However they can afford to do this, as they have strong loyalty programs which reward the players for playing more. Online casinos will often have multiple signup bonus, encouraging the user to keep depositing initially. When it comes to loyalty programs online casinos are severely lacking – most of them just have a simple comp points for cash program. Due to this, they rely heavily on reload bonuses to keep the user depositing. One complaint many poker affiliates have had with online poker rooms is that they don’t do enough to get the player back playing at their poker room. How often have you seen a player generate $300 over a few months, then suddenly they never play again. This is one problem you don’t have with casinos – as soon as a players balance reads $0, the casino will be doing everything they can to get that player gambling again. They’ll put free money into their account, offer big bonuses – they’ll even call them to try and get them back playing immediately. 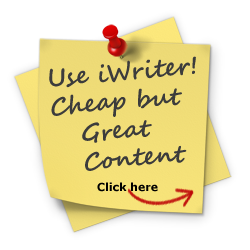 While this seems good, it does have its drawbacks in that one day you will be sitting there looking at a nice mouthwatering month, and then the next day your whole commission is almost completely wiped out due to bonuses. This is something you unfortunately have to get used to – casino players can be very loyal to a casino, so it can take a few months of giving up making money off them, to ensure that the casino will be making money off them for months to come. So as you can see – unlike online poker or online bingo, promoting an online casino isn’t a steady income. What can you do to prepare for these swings? (1) Don’t Count Your Chickens Before They’re Hatched: It’s an old saying, but it really does apply here. If you wake up and see that your commission at Rockbet Casino went from $$150 to $9,000 overnight – don’t start planning on spending that money. Wait until the month is over, and the commission is finalized before actually factoring that money into your income. Hell, I don’t even check stats anymore for casinos, until it’s the end of the month. Too many times I’ve logged on around the 10th and seen a 4 or even 5 figure income, only to check a few days later to see they won it all back, and then some. There’s no greater feeling than seeing that you earned 5 figures overnight, but there’s no worse feeling than seeing that 5 figures disappear. (2) Only promote casinos with no negative carryover: One of the biggest causes for swings is a casino player winning. If they go on a big winning streak and then withdraw, your affiliate account is in the negative. Can you imagine having 80 small stakes gamblers generating $100 each a month, then having it completely wiped out by one lucky high roller – for the next couple of years? That’s obviously a worst case scenario but something you should always think about when promoting an online casino affiliate program – having no negative carryover makes those months where the player wins sting a LOT less. Read more about online casino affiliate programs with no negative carryover. (3) Do research beforehand: If you’re going to sign up at a casino affiliate program, do some research beforehand to see how they handle retention and bonuses. I work with some casinos that don’t even know the meaning of a reload bonus, yet are able to retain players via other means. I’ve also sat and watched casino managers looking at their backend, seeing a players balance is getting low, and say “I’m going to issue a $200 bonus for this guy”. So before deciding on what casinos to promote, especially if you are concerned about the swings, do some research. Ask on casino affiliate forums, do some searches in google, sign up at the casino, do some gambling and see how they attempt to retain you. Hell even drop me an e-mail and I’ll tell you about their retention methods. The most important thing is – be prepared for the swings. Don’t get too excited when you see a player had a losing night. Wait until the month is over and the check is in your hand before you really consider that money earned. As long as you are aware of the swings going on, you’ll be fine. Promoting an online casino can feel like a rollercoaster ride – but I’ll take that five figure month over the biggest roller coaster in the world any day of the week! This article was written on June 19, 2009 however all articles are looked at on a monthly basis and updated to keep them relevant. TE2012IM: Thank Euro 2012 It’s Monday! 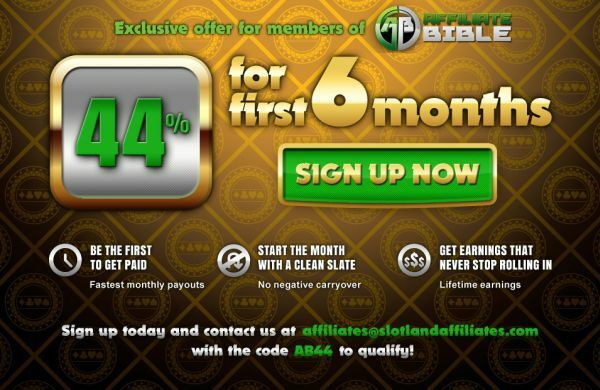 This week at Poker Affiliate Bible….